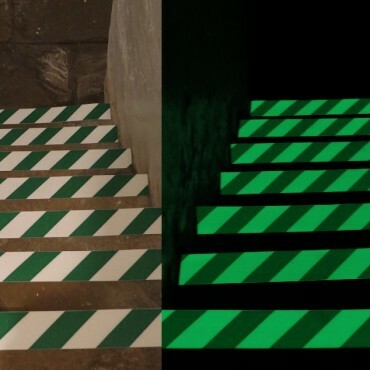 Discover the tape specially formulated for customers who demanded heavy duty durability in an anti-slip, glow in the dark floor tape. Let NovaGlow DuraLine create a safer working environment. 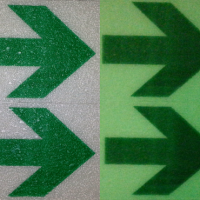 Why use heavy duty photoluminescent marking tape? In any industrial or manufacturing environment your floor takes some pounding. 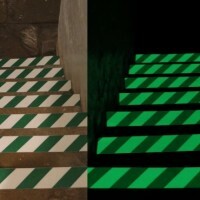 In the dirtiest, dustiest, most demanding manufacturing environments it’s not enough to have a floor marking tape that glows in the dark when the lights fail. And it’s not enough to have an anti-slip tape that outlines hazards. It needs to be durable too. 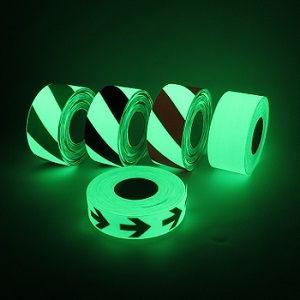 The plain or printed glow in the dark tape of NovaGlow DuraLine is over-laminated with a heavily embossed, tough, durable clear PV anti-slip protective laminate. The result is our toughest anti-slip and photoluminescent tape yet. So no matter what you put your floor through, you know it will keep protecting your people and processes for longer. NovaGlow DuraLine floor marking tape is BGR Classified to R11 for slip resistance in use as a floor graphic. Photoluminescent properties conform to PSPA Class B (High performance when charged in bright lighting conditions). 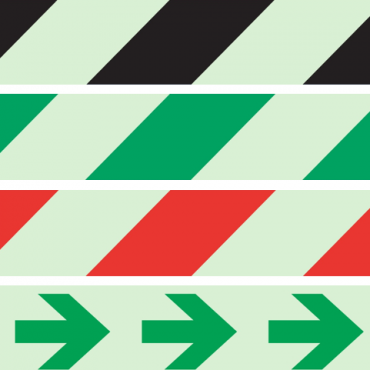 NovaGlow DuraLine is the ideal complement to our range of printed photoluminescent tapes. Apply a thin coat of Anti Slip Surface Primer to the area where DuraLine will be placed and allow to dry fully.